Click here to VOTE for the 2019 Sasquatch Award! Read or listen to any two nominated titles to be eligible to vote. Books can be found at your school library and at the public library. Ask a librarian if you need help. Voting takes place March 19 -May 3 and the winner for the state is announced shortly after voting closes. The Honest Truth is a very important book to me. I hope you enjoy it. 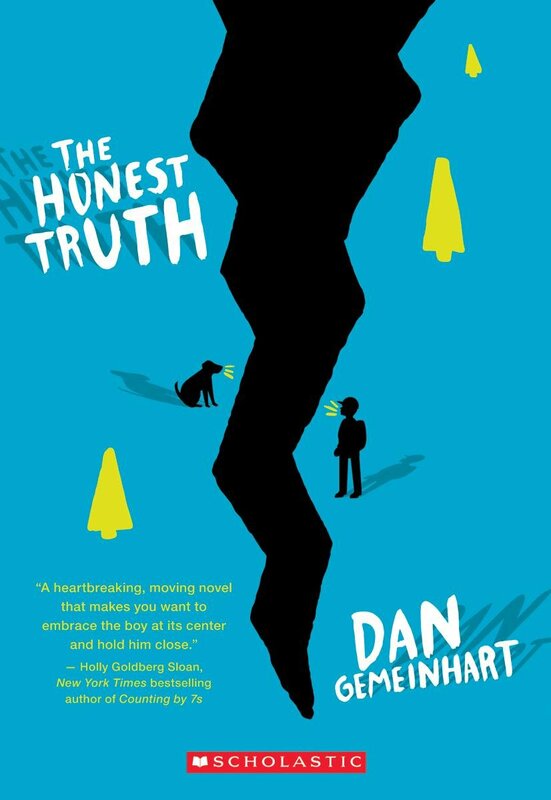 The Honest Truth was Dan Gemeinhart's debut novel. For more information about Dan please see his website. Thank you to everyone who read and voted! Curious to see how the other nominees did? It was a close race! 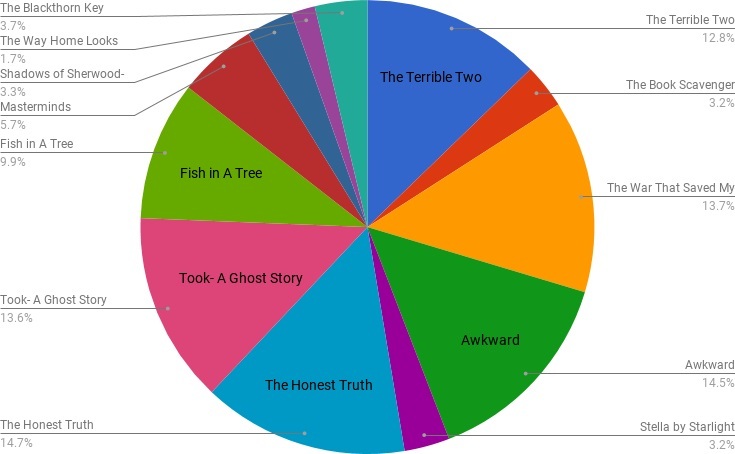 The pie chart shows the percentage of votes each book received.